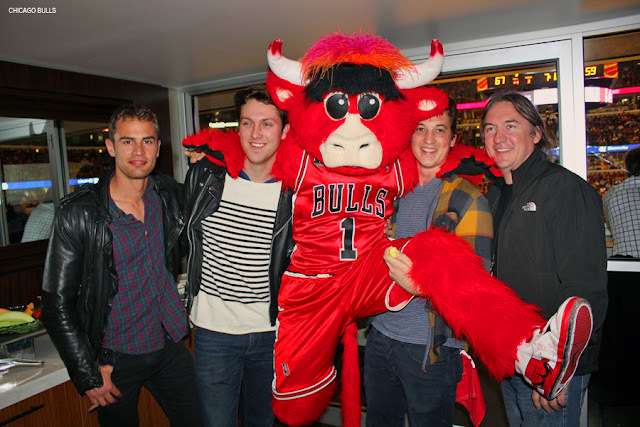 First: The Divergent cast/crew made a new friend at the Chicago Bulls game last month. 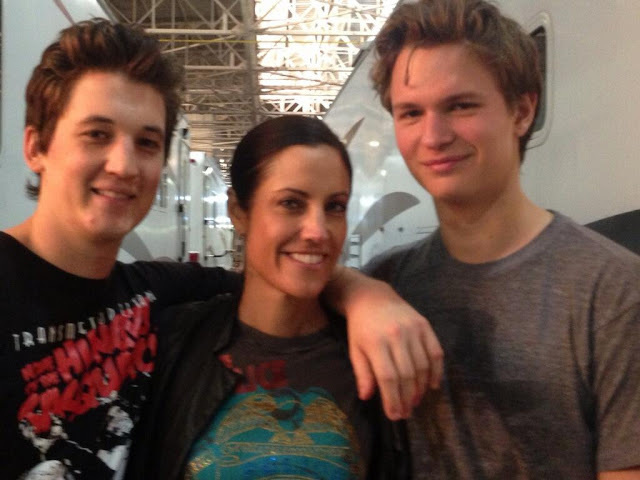 Second: From Tracy Brennan on twitter: "RT @tracybrennan007: Always good to hang with @Miles_Teller and @AnselElgor! I also had the good fortune of meeting @VeronicaRoth today on set #Divergent. She is Ubber lovely and talented!"